Transported Asset Protection (TAPA) is a unique forum which focused heavily on the aspect of security and theft prevention through the use of real-time intelligence. Hence, this is a great opportunity for TimeTec to showcase our cloud-based solutions to its throngs of visitors. This two-day event was held at Connexion@Nexus Bangsar, Kuala Lumpur on 17 to 18 January 2018 and TimeTec becomes one of the main sponsors of this Driving Supply Chain and Security Risk Innovation Conference. TAPA is an event that unites global manufacturers, logistics providers, freight carriers, law enforcement agencies, and other stakeholders with the common aim of reducing losses from international supply chains. Founded in 1997, TAPA has three regions across the globe namely Asia, Europe, the Middle East and Africa and the Americas. The Association has over 700+ members including many of the world’s leading manufacturing brands as well as their logistics and transport providers with combined annual sales of over US$900 billion. In this event, TimeTec highlights its two main solutions, TimeTec Patrol and TimeTec TA. 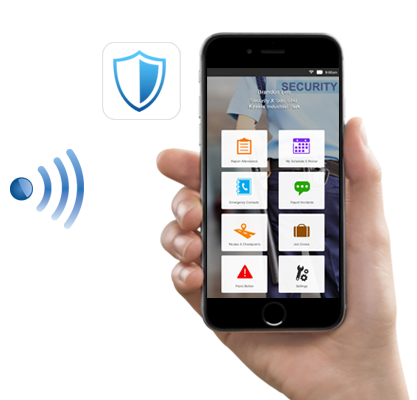 TimeTec Patrol is a cloud-based guard patrol solution that assists in the management of security guards. Using Near Frequency Communication (NFC), Bluetooth Low Energy (BLE) device and Beacon with Cloud computing technology, TimeTec Patrol is able to provide organizations with an effective patrolling App via smartphone. By using a cloud guard patrol system, security organizations will be updated with the goings-on at all times along with live feed, incident reports and a detailed view of guards’ activities from a reliable centralized system. What’s more with its real-time features, security guards can also report any incidents during patrolling duty as it happens together with snapshots of the incidents as supporting evidence to the claim. That said, this distinct feature could be utilized to effectively curb one of the biggest/multi-billion dollar problems from and within the supply chain, i.e. Cargo Crime. On the other hand, TimeTec TA is a smart solution that brings workforce management to a whole new level and is the preventive steps for tardiness, absenteeism, and other counterproductive work behaviour. With an Internet connection, the management will be able to login and gain access to features that can tackle any workforce issues such as monitoring, tracking staff’s attendance, generating reports automatically and etc. With all these features combined, we guarantee that TimeTec TA will not fail to disappoint and the efficiency it brings will definitely co-align with TAPA’s mission in minimizing its members’ losses. Businesses have to start thinking about cloud solutions adoption and TimeTec solutions provide all the conveniences that organizations need to move forward effectively.